Whether it is the advertisements or press releases themselves, or ancililary documentation (such as contracts and invoices), we can take the information and produce a more cohesive system of storage, allowing for quick retrieval and disaster recovery. 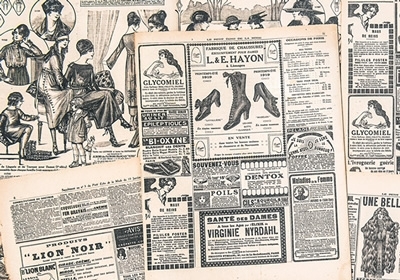 Magazine and newpaper advertisements and other printed promotional materials can be archived and catalogued into a useful historical or learning repository. SDS Heritage can also take film, video and other broadcast media, index it, and create a searchable database (we are also able to convert old footage into DVD format, or to a format suitable for online and offline viewing on a computer), and to amalgamate it with other information it into a single, easy-to-navigate system.